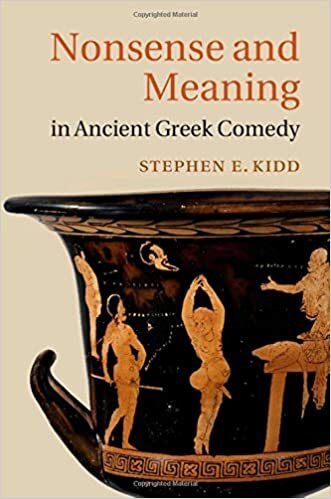 This book examines the concept of 'nonsense' in ancient Greek thought and uses it to explore the comedies of the fifth and fourth centuries BCE. If 'nonsense' (phluaria, lēros) is a type of language felt to be unworthy of interpretation, it can help to define certain aspects of comedy that have proved difficult to grasp. Not least is the recurrent perception that although the comic genre can be meaningful (i.e. contain political opinions, moral sentiments and aesthetic tastes), some of it is just 'foolery' or 'fun'. But what exactly is this 'foolery', this part of comedy which allegedly lies beyond the scope of serious interpretation? The answer is to be found in the concept of 'nonsense': by examining the ways in which comedy does not mean, the genre's relationship to serious meaning (whether it be political, aesthetic, or moral) can be viewed in a clearer light.